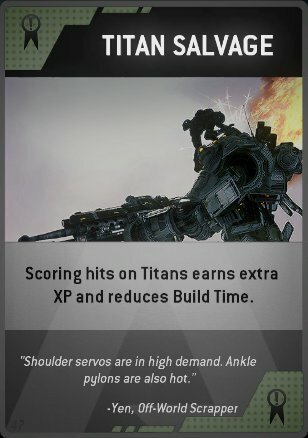 Titanfall players can earn 50 "burn cards" during battle. Beta testers have cobbled together a full list along with an image gallery. 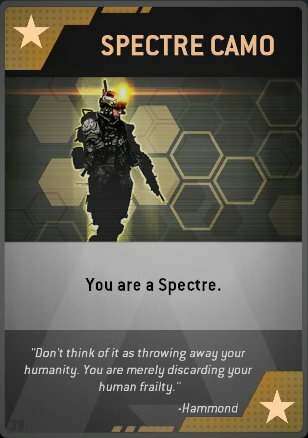 Burn cards are collectibles randomly earned through gameplay. You're able to use them whenever you die to get a temporary edge in battle. 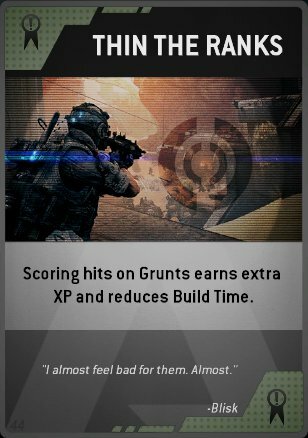 For example, Fast Learner doubles the XP you're earning while Double Agent makes enemy A.I. ignore you. A few examples are in the slideshow below. 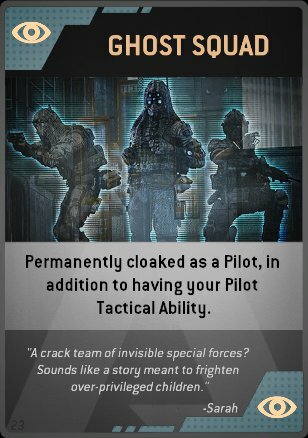 They're an interesting twist on the killstreaks/deathstreaks rewards from Call of Duty. Like those streaks, burn cards can help a good player dominate or a bad player bounce back. However, their bonuses usually only last for one spawn. Plus, burn cards can only be used once and you can only equip three per match. They're not as prone to overkill as COD' killstreaks. 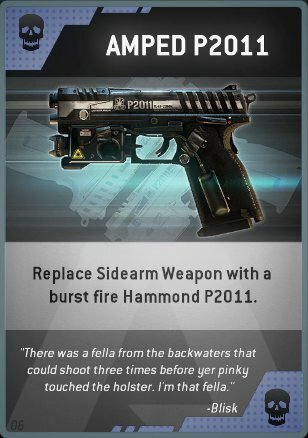 Here's the list of 50 cards compiled by Reddit. Six cards are in parentheses because they haven't been confirmed with images yet. 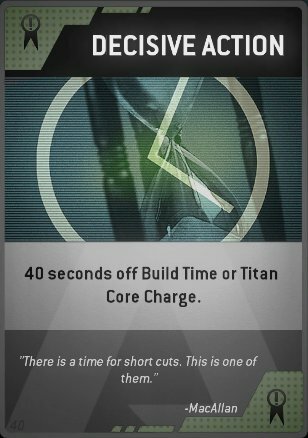 You can see images of 44 of the cards in this imgur gallery. Each image includes full description of the bonus that card provides. Titanfall is currently in open beta on Xbox One and PC. Respawn plans to wrap up the test later today in preparation for the game's March launch date.